These are not the tests we took as children. On the left (pre- Common Core 2005) is A Winter Surprise. The readability average through multiple measures is a very reasonable grade equivalent of 3.8. On the right (Common Core aligned) is The Grey Hare. The readability average through multiple measures is a very unreasonable grade equivalent of 7.3. The grade level equivalent of the test questions is another matter altogether. Most questions are 2-3 grade levels above the grade being tested as shown here. You would never assess a 3rd grade student or their teacher by using 7th and 8th grade ELA/math questions, but that is exactly what the Common Core tests do. Every student loves a challenge, but unless they can read 300 words per minute, it is not a challenge students will ever meet. Read here for the breakdown. 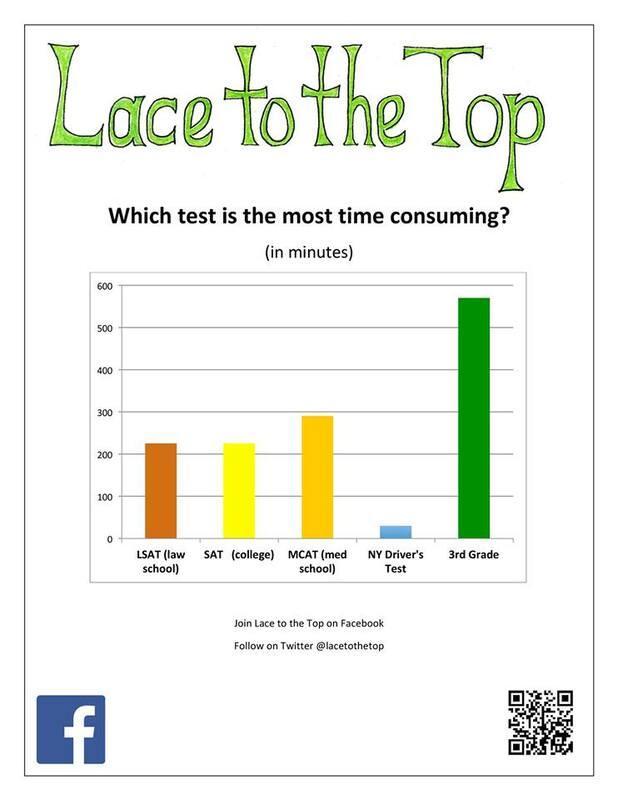 Join Lace to the Top because we never took these tests- why should our children?